Thank you for hanging out with me at Chrisbookarama this year. I appreciate your comments, and even if you don't comment, thanks for reading! I hope I'll see you all again in 2011 for more great discussions. Happy holiday Chris! Have a very merry Christmas! Happy Holidays and New Year Chris! Happy Holidays to you too - enjoy! 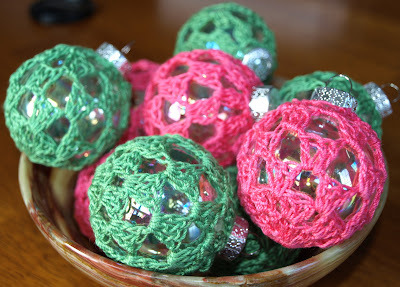 I love the Emerson quote ... and the Christmas ornaments - did you crochet on top of glass/plastic balls? I hope your family had a great holiday, Chris!!! Cheers to more bloggy fun in 2011! I feel the same way about my own readers! And I enjoyed the Christmas cookie version of your site.